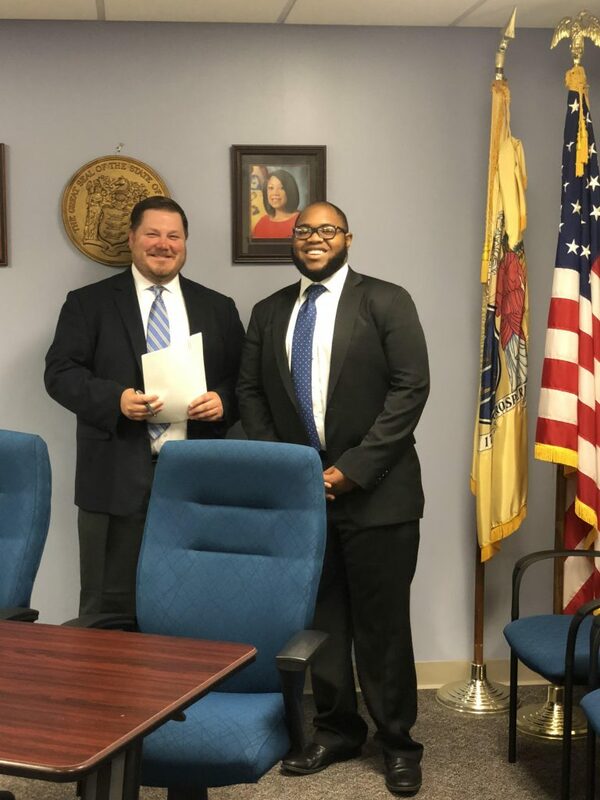 Stephan Lally, Student Government President at Ramapo College of New Jersey, was sworn in as a member of the Higher Education Student Assistance Authority (HESAA) in a ceremony at the organization’s office in Trenton, N.J., on Thursday, July 25. HESAA is the only New Jersey state agency with the sole mission of providing students and families with financial and informational resources for students to pursue their education beyond high school. The position carries a seat on the HESAA Board with voting power. Lally, of Woodbridge, N.J., is a Political Science major entering his junior year at the College. In addition to serving as SGA President at the College, he is a member of the Student Emergency Relief Committee. He also attended the KNUST Ramapo Student Leader’s Trip to Ghana for two years and served this year as a student trip leader. Earlier this year, he was a recipient of the 2018 Outstanding Student Leadership Award for Second-Year Students. HESAA programs and services include need-based and merit-based programs. Among them are New Jersey Tuition Aid Grant (TAG); part-time TAG for county college students; the Governor’s Urban Scholarship Program; the Governor’s Industry Vocations Scholarships and the New Jersey Student Tuition Assistance Reward Scholarship (NJ STARS and NJ STARS II).